When I was a young girl, we had four television channels. The three big networks and then the fuzzy public television channel that we could get just right if the rabbit ears were cooperative. On our ancient-even-then Zenith, I used to watch Walter Cronkite every night, and yes, I found him trustworthy. On the public television channel, though, I found the real magic. Sesame Street, only a year younger than I. Electric Company. And Jane Goodall. I can't remember the year, but I remember her. In my memory, even from my childhood perspective, she was very young. Spending her time quietly, mostly alone, watching primates, taking careful notes on their behaviors and interactions, giving them names. Compared to my socially miserable existence in a noisy public school where I had no friends but books, in a small southern town stuck in the 19th century, Jane Goodall seemed to me to have found heaven: quiet, watching animals, writing, reading, being outside. For me, it wasn't only that she was a scientist. For me, it was how she lived, how she did her science, that caught, that stuck. That young, fragile-seeming but clearly tough woman, taking on the challenge of quiet, methodical, groundbreaking work, boldly and largely alone. She also travels with a stuffed animal (above), which I do, as well. Some of us need our totems. Today, I spend most of my adult time alone, writing, reading, taking notes, and watching primate behaviors and interaction. Most of what I watch takes place virtually, on Twitter and Facebook and blogs. It's a glorious world of science and science writers, one that makes me wake up every day with anticipation of what these observations--and my participation in them--will bring. It is what gets me out of bed in the morning, or it would be if I didn't have children still doing that for me. "I don't know that I had a science inspiration, per se. I did have a serious case of I'm-a-girl-and-I-can-do-it-itis and science is a great place to go for it. 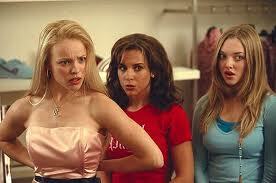 So perhaps my inspiration was all the girls who looked at me like I was crazy when I announced I was a biochem major. I like proving it wasn't crazy or unthinkable." For Jessica, the inspiration was the soft tyranny of low expectations, the inherent skepticism that a girl or woman might be into science. But Dr. Judy Stone was already in science when she found her inspiration. Interestingly enough, where Jessica's notion was moving herself forward thanks to reactions from people looking backward, Judy found a certain inspiration in a woman whose inherently quiet and stately grace, a seeming anachronism, simply added to the power of her accomplishments. It was the kindly charm of Rita Levi-Montalcini that stayed with Judy, even as Levi-Montalcini's achievements reached the pinnacle of science. Judy was lucky enough to have Dr. Levi-Montalcini (left) for a biology professor. This Nobel-prize-winning scientist, says Judy, left a vivid impression of kindness and gentleness, with a demeanor that was almost other wordly. Yet she was, like Judy's parents, a Holocaust survivor who undoubtedly had to overcome obstacles both gender-based and religious, to reach her place in the world of science. Judy, a future physician (although at the time, she wanted to be a wildlife biologist), found Dr. Levi-Montalicini's old-world dignity and grace against the backdrop of her brilliance and personal history as inspiring and memorable as the Nobelist's scientific achievements. It's clear that whatever muses drew us down our paths to where we are now--whether they were quiet young groundbreakers, disbelieving peers, or gracious and kind Nobel prize winners--the inspiration came as much from who they were and how they were as it came from what they did. 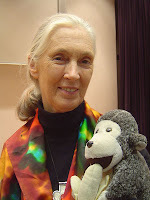 In a wonderful coincidence, Kimberly Gerson also blogged at her Endless Forms Most Beautiful (what a great blog name) on scientists and inspiration today...leading with Jane Goodall!